Note the contrasting satin black finish on the domed hood venting - contemporary styling at its best. JE DESIGN, ever the champion of big and bold, has body kit design for the 958 that can be described as "outstanding" as usual. 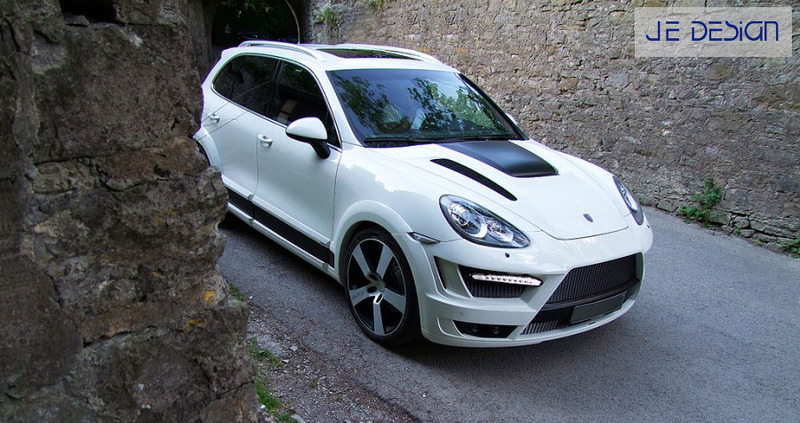 Without a doubt, this latest body kit from the German design gruppe puts the Porsche Cayenne squarely into buff muscle territory. Here's a top tuning experience direct from Europe called PROGRESSOR that combines looks and performance in one package. This impressive street monster modification (plus the stuff that's under the hood) is now available in North America via LLTeK. These products will be listed with pricing in LLTeK's Body Kits for Porsche 958 website section soon. 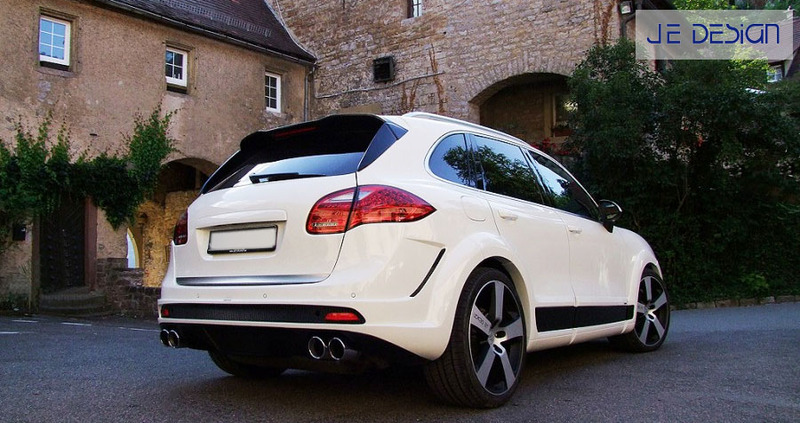 If you can't wait because you know this is your Cayenne, give us a call and request a written quotation. LLTeK can provide MatchPaint service for your purchase and see that your modification project arrives at your door ready-to-install. We can be reached toll-free in North America at 1 888 465 5835 - 8:30 AM to 5:00 PM (EST) - Monday through Friday. International calls will be answered at 001 514 733 6333 (-5 GMT). We will answer your questions.